Are you looking to make one of the best cups of coffee that you’ve ever had? There’s a Chemex recipe for that. In the mood for some Japanese iced coffee? There’s a Chemex recipe for that too. The Chemex is one of the oldest and most versatile coffee brewing devices. That’s why we wanted to put together a list of the favorite recipes by Team Handground. The goal is for you to find the perfect Chemex recipe, no matter what kind of coffee you’re brewing or the style of drink you want. recipes, you can read over this article on the benefits of hand grinding. 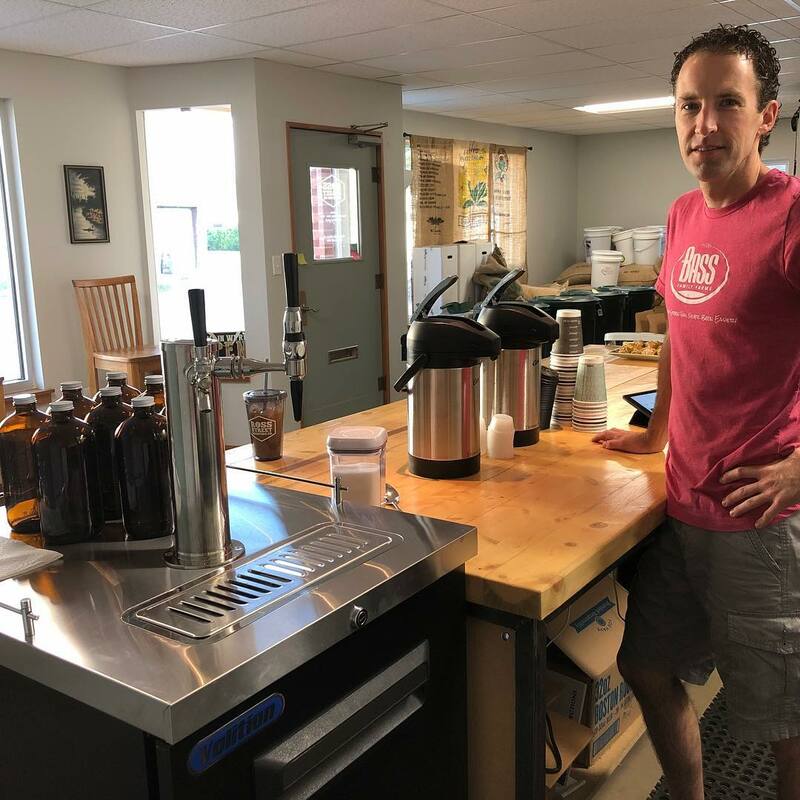 If you want to learn even more about grinding read: Coffee Chemistry Made Simple a Look At What Happens Inside The Bean. Alright. 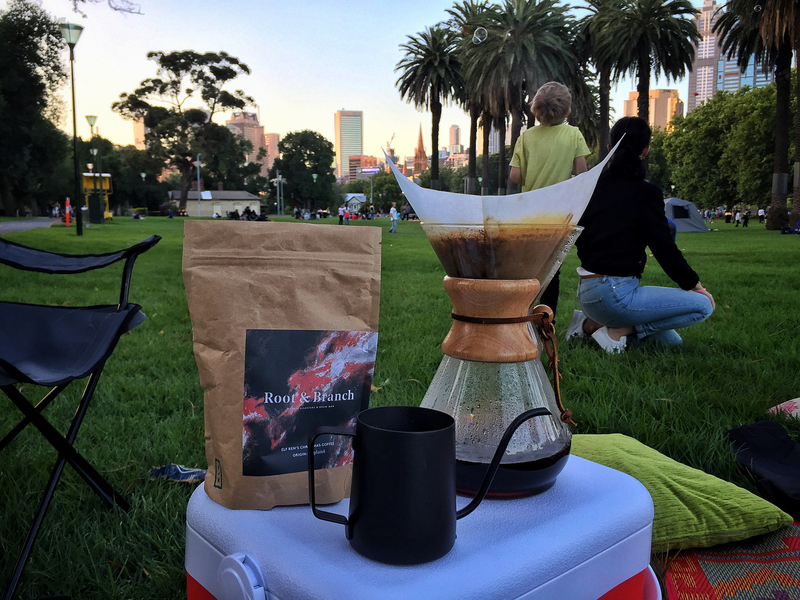 If you are still here, lets get into these Chemex recipes. Setup the square filter inside the Chemex. The filter square is folded twice, so when you look down you will see 4 pieces of paper or 3 sections. Bend 3 of the pieces to one side. Once you separate the filter it forms a cone. In this cone is where the coffee will go and the brew gets started. 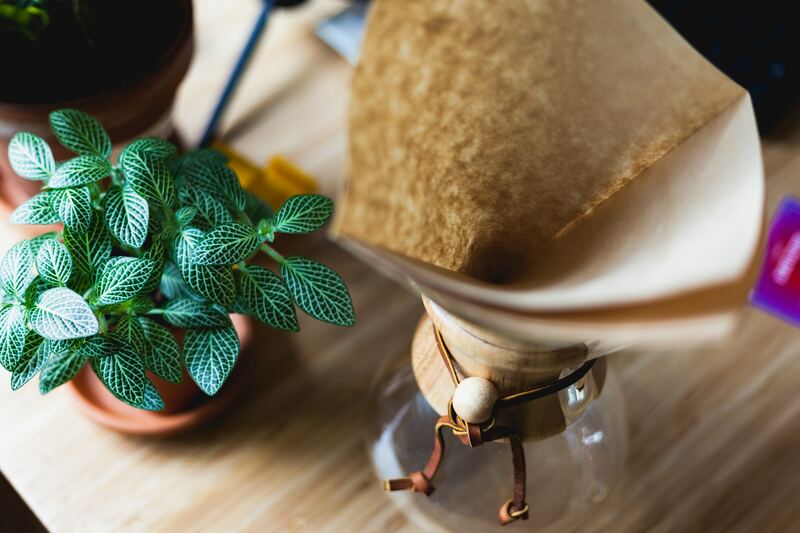 Now that your filter is in place and you are ready to get started, let’s go through the 28 Chemex brewing recipes. Light-medium roast. Personally prefer fruitier origins like Kenya/Ethiopians. Would work well with Bourbons & any other chocolaty too. Grind within the 4-5 range depending on the bean. Heat water to 205°c and wash filter and Chemex. Start bloom to 80g and stir to saturate. Pour a full pour to the brim, letting it almost complete drawdown, to about 2-3 mins. Pour again till final weight at 750g. Bloom with 40g water for 40 sec. Then pour up to 150g total. Wait until 1:20, then pour up to 300g total. If water is rinsing a little too slow, pull up the filter at the inner corner, to let the water go bypass. If it rinses A LOT slower or faster, the coffee needs another grind-setting. Wet paper to remove the paper taste from the final brew. Add around 50-70g of water at 92-96° and allow to bloom for 30-35 seconds. Add 200g more water, slowly in a circular spiral or zigzag pattern. 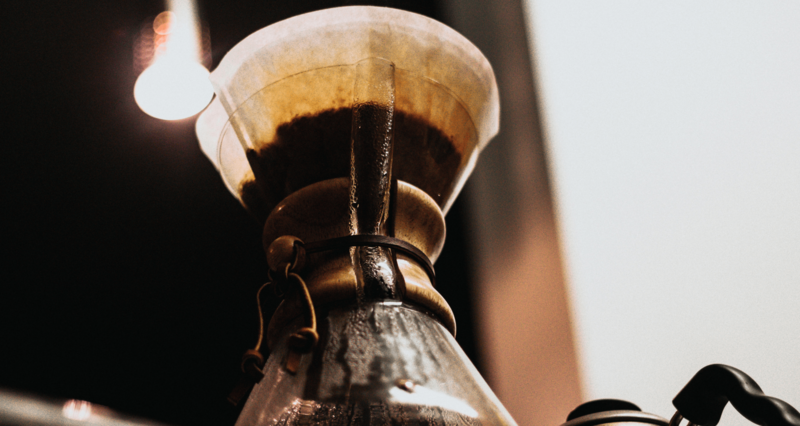 I find this recipe handles light roasts best, light-to-medium preferred; the Chemex is a bit of a jack-of-all-trades and can brew most coffees well with just a few adjustments. One of the great benefits of the Chemex is that it has a large area to steep the coffee, so filling up with a lot of water early after the bloom will help keep the grounds fully immersed; this is a two-person recipe and takes a lot of water, so there's some wiggle room with how quickly to pour. We love a Medium or Medium/Light Roast. Ethiopian is a favorite, but if you are a cream and sugar person try a nice Honduran! Once the filter has been soaked, pour out all the hot water that is in the Chemex. Pour your grinds in and give the Chemex a shake to level it out. We like to use water between 199 and 204 Degrees. Now you are ready for your bloom. The idea here is to use as little water as possible to wet all the grounds. You are shooting for less than 10% of your total water weight. In this case, 85g. Let your bloom sit for 30 seconds. You will add you final 765g of water divided over three equal pours of 255g. Basically, once your 30 bloom is completed, tare your scale and add 255g of water and let drain. Once it is almost fully drained, tare and add the next 255g. Wait until drained and add the last 255g. This is specifically my outdoor brewing recipe. Due to the Chemex cooling too quickly in outdoor use, I aim for a 1:8 ratio then dilute to 1:16 with boiling water before serving. Rinse filter and discard water. Boil water using insulated Jetboil Zip. Water immediately off the boil. 80g bloom for 30sec stirring thoroughly. Add water in 100g increments to prevent water cooling too much before drawing down. Stop when output is at 300g (not input). Freshly boil new water to dilute by adding a further 300g of water immediately prior to serving. Single origin medium or light roast all geographies to understand the contribution of roast and region to flavors. Prewet filter and rinse Chemex out. Add 42 grams of coffee and pour 150 grams of water over aiming for dark spots and stir for a total of 45 seconds. Add 300 grams of water to make 450 grams total water wiggling the pour across the grounds another 45 seconds. Pour the remaining 250 grams of water in so total water weight is 700 grams (1:15 coffee h2o ratio). Coffee is done at 4 minutes total time from the initial pour. If any water is left in the filter at 4 minutes discard remainder and select coarser grind next time. Now, before we get into the recipes, one of the most important aspects to brewing a Chemex full of delicious coffee is the grind. 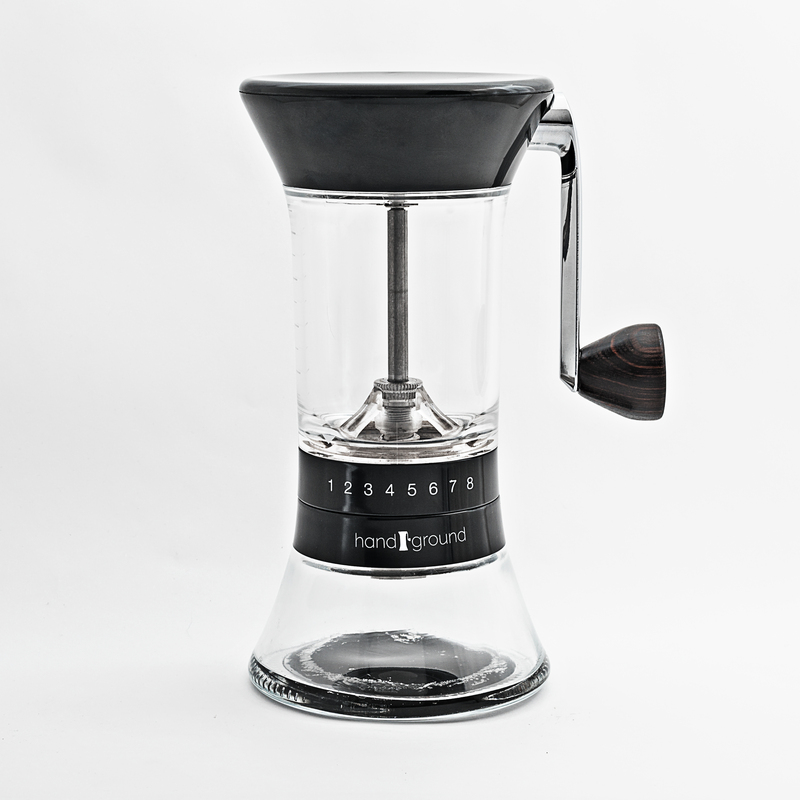 You’ll see each grind is measured by the setting on the Handground Precision Coffee Grinder. 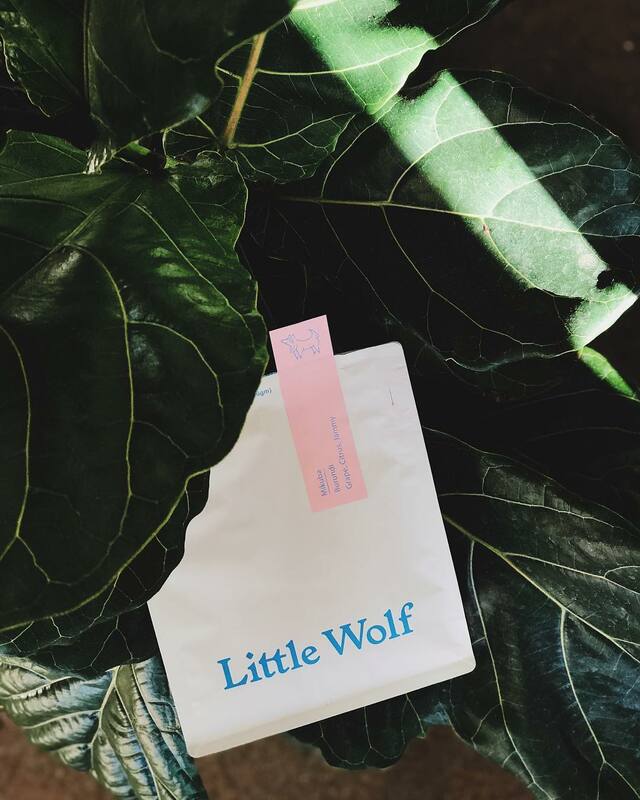 Get one here to start making your Chemex taste great every morning. I always tend towards the light to mid roasts with fruity undertones. Ethiopian beans are always my favorite. Columbian is also nice and usually balances well between fruity and more caramel-y flavors. In my personal opinion, the single origin is the best way to go. Blends can be good, but a single origin will allow you to really taste the bean! Bloom grounds with 70-90 grams of water. Allow the coffee to sit for 30-45 seconds. I like to watch the grounds as they bloom. That’s where you get the first smells of the coffee extracting from the beans. If you notice the grounds starting to grow or expand (hence the term bloom) that’s a sign of fresh beans. That’s a good sign. After allowing it to bloom, slowly pour the water over the grounds in a circular motion. Try to keep a steady stream of water. Try not to stop and start the flow. You want to control the flow of water so that the filter doesn’t fill too full. Try to keep the water level lower than the top inch and a half of the filter. Once you reach 600 grams, stop pouring and allow to steep and drain. This should take around 4 minutes. Don’t let the water drain completely. You want to discard the last little bit of steeping water. You want to pull the filter off before the grounds break through the surface of the water. Now all that’s left is to grab a cup, sit down with a friend, and enjoy! Light Roast. Pluma Hidalgo Oaxaca, México. Put the filter on and rinse with 200 grams of boiling water, then discard water and put the ground coffee on it. When the suggested weight of the water is reached, stop pouring and stir for 4 seconds with a plastic spoon. Then let it brew naturally until the clock reaches 4:44, remove coffee and filter and stir coffee to integrate the brew. The coffee has to be FRESH, anything over a couple weeks will be mediocre even if brewed well. I think the process lends itself to showing off the finer points of a light roast, especially anything fruit forward. This recipe will vary based on how many you’re trying to serve. The process below is for 1 cup. Fill kettle with water. Place kettle on the stove top. The temperature should get approximately to 205*F.
Turn on the scale, place the cup on the scale, tare scale, weigh out 25g of coffee into the cup, dump beans into the grinder. (Grind setting for Chemex should be 5 if you’re using a Handground unit, but every burr grinder is different; grind should be a little coarser than kosher salt). 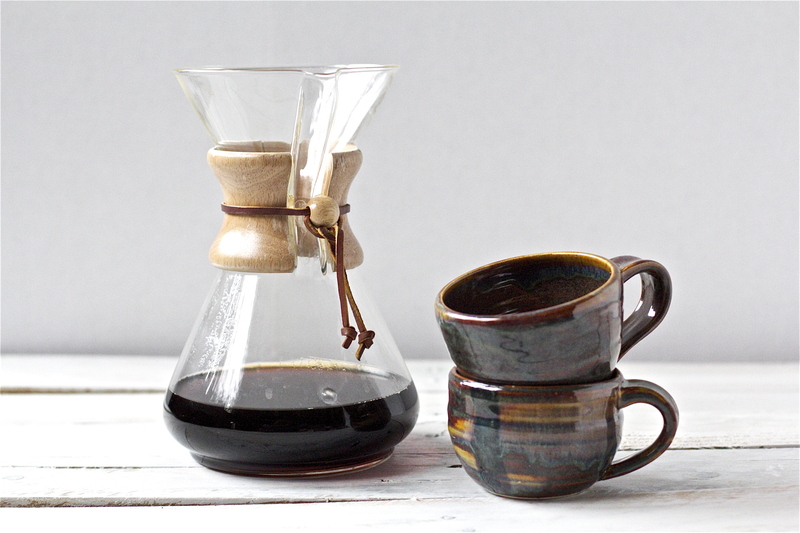 Place unused filter in a clean Chemex with three sides towards the spout and one side on another side of the glassware. Pre-wet filter with enough water to absorb all dry areas; place kettle back onto the stove and keep the temperature at 205*F. Pour water out of Chemex (don't let filter fall out). Start the timer and pour 50g of water in a quick, circular motion and let bloom for 30 seconds. Gently stir grounds a few times with a bamboo paddle, pour water on the paddle to clean, set aside. Begin to pour #1 of 130g of water in a slow circular motion at 00:30. You should finish this pour at 1:00. Wait for the water to drain through the grounds. Begin to pour #1 of 160g of water in a slow circular motion at 01:20. You should finish this pour at 1:50. Let the Chemex sit and finish brewing. Total brewing time should be between 3 and 4 minutes. Fold and dispose of used filter. Swirl coffee in a circular motion to mix. Announce Chemex is ready with a megaphone. Turn off scale and kettle. Clean empty Chemex by swirling hot kettle water in the glassware, then emptying. Seal up the coffee bag and clean up surrounding area. Savor a fresh cup of coffee with those around you! A medium roasted Brazil natural process is perfect for this recipe. Slowly pour 60 grams of 195* water in a swirling motion, let bloom until 0:45. Gently poor another 300 grams, then let drain some (not all the way). Pour the remaining 240 grams of water and let drain completely. Light roast, Kenya, Washed. Light roast, Guatemala, Washed. Use the White Chemex filters. Rinse the filter with hot water. Add coffee, shake to make the coffee bed even. Pour enough to bloom, 40g-75g water. Wait for 30s. Pour remainder of water evenly, in circular motions, in 200g increments. Wait for 4:45 or until a stream of coffee slows to a drip, whichever comes last. Swirl to mix, and pour into a mug of choice. African coffees (Ethiopian and Kenyans, medium to light-medium roast. I tend to put in more water than usual for other pourovers, so 140g of water with a 40s bloom, and then pouring in overlapping circles (like a Venn diagram) until 4-minute mark. I follow the standard Chemex instructions but do it on a 1:14 ratio. I usually have a shorter steep time because of the smaller ratio and do not mind a slightly under-extracted cup. Want to grind to start dripping at 5min mark, make sure filter is wet and evenly sealed on the glass. Originally based on George Howell's recipe. I prefer light to medium roasts. The recipe is written for a medium Honduras. I up dose for a light Ethiopian. I bloom twice with about 1.5x the weight of the beans each time. First to saturate the grounds. 2nd to release any trapped gasses. 2 150g pours and a final 80ish gram pours to reach the desired amount of water. Brewed with a coffee sock filter but also works with Chemex filters or metal filters. I usually try to wash down my sides a few times while pouring. Don't worry too much if you lose water depth in the filter. I've had it go dry and have not had an issue. If it goes through too fast or too slow, adjust your grind. 20. D. Kirschbaum, Rochester, N.Y.
Whatever kind of coffee you like, works well with the Chemex. Pour over wetting grounds, wait 20 sec. Pour over the rest in a circular motion. I prefer a lighter (i.e. cinnamon to city roast) African and Central American coffees, specifically Ethiopian heirloom varietals and higher elevation Costa Rican coffees, but in my experience all coffees and roasts I’ve done work amazingly well. Measure out 30g of your favorite coffee beans into the hopper of the Handground. Pour out the pre-rinse water, then add your ground coffee and tare your scale. Bring your water to a boil in your gooseneck kettle, taking it off the heat and waiting ~30sec. Your target temperature for the brew is 195-205°F. Start your timer, then slowly pour enough water to fully wet the grounds (roughly 45g), and wait for 45 seconds. Begin slowly pouring your water in a circle about the size of a US Quarter clockwise(or counterclockwise, do what you want (as long as it’s in the same direction the whole time)) until you pour about 150 grams over about a minute. Wait 15 seconds, then repeat once more. For your final pour, continue in a circle until you reach 425 ml, then pour the last 25 ml directly into the center without circling. Wait till it drains almost completely, then once it’s dripping about 1 drop per second, take out the filter and enjoy! Light to Light-Medium roast Single Origins always shines with Chemex. This is how I love "wow" newcomers to Specialty Coffee. Add 30g of water for the bloom pour, wait 30 seconds. Add 30-50 more grams, then stir the bed of saturated grounds. Add subsequent pours of 30-50g per pour, at intervals of 10-15 seconds until you reach the target weight of 480g at around 2:30. Drip-through time should end between 4:00 & 4:30. Lucas Roasting Co. “Blue Ridge Breakfast Blend”. Medium roast, available online. Use Handground when traveling, Baratza Virtuoso grinder at home. Light roasted, African coffees tend to flourish best in this style but depending on your preferences do not be afraid to use any beans you already have! Begin by blooming with more water than you typically would ensure the entire bed of coffee is wet; for 25g of coffee, we would bloom with maybe 75g of water. Immediately after pouring the bloom water, take a spoon and stir, all the way to the bottom, the wet bed of coffee in a circular motion vigorously. You will not hurt the filter and you want to be sure every coffee ground is wet. After the bloom, continue gently pouring the remaining water in a circular motion in pulses, roughly 50-75g at a time. Do not be afraid to pour down the sides of the filter as you go as we want to ensure there are no grounds stuck to the sides of the filter by the end. After your last pour, give the entire slurry 2-3 more good stirs to keep everything even. You should aim to stop pouring after 2:30 to 3:00 minutes and the final drips will end around 3:30 if your grind is correct. If all is done well, you should have a flatbed of coffee with no grinds down the sides after all of the coffee has dripped through. Any bean from a professional craft coffee roaster. Look for beans that do not have an oily sheen on the outside of them. Start boiling water in gooseneck (3/4 full). Weigh out 30 grams of whole bean coffee. Grind beans on #4 Handground. Remove gooseneck once temp is around 200F. Pour in 80 grams of water to bloom coffee between 45 secs and 1 min. Pour water over all coffee grounds in circular and slow motion till 450 grams is achieved. Let all water filter through and enjoy 2 fresh amazing cups of coffee. Ethiopian Yirgacheffe, Lightly i.e. properly roasted. Rinse filter and pre-warm Chemex with boiling water. Pour water in the cup to pre-warm cup. Have coffee ground before pouring - take the time to boil the water to grind the coffee. After pouring water into a cup, pour coffee into Chemex and ensure the coffee bed is flat. Start the pour with water just off the boil. Pour in a circular motion, moistening entire coffee bed. Approx 50g of water in a 5-second pour, let bloom for 30 seconds. Start the second pour after the bloom, pour another 150g of water in circular motion, starting at the center of the bed and working in concentric circles to the edge. This pour takes another 15-20 seconds. Give a gentle swirl of the Chemex ensuring everything is wet and that no grinds are stuck on the side of the filter. Once the draw down of this pour is complete, finish with the pour starting in concentric circles and once the water level reaches about 1/2" from top of filter start a center pour to maintain the level until all water is poured. Wait for the drawdown, remove coffee and filter, swirl the Chemex at the end, pour water out of the cup, pour coffee into a cup, enjoy. I use medium roast Mexican organic. Boil water at 212 degrees. Let the water rest about 30 seconds. Pour water over freshly ground coffee slowly. Boil water using an electric kettle. Weigh out 46g of the freshest beans you can get. Stay away from dark roasts. Support your local roaster. Fit the Chemex filter into the Chemex and pour a small volume of hot water over to slightly wet the filter. Discard this water. Grind the 46g of beans and pour into the damp filter. Slowly pour over the hot water, covering the grounds and allowing them to bloom. I like to use a scale and start with 100g of hot water for the bloom. After 1 min, slowly pour water over in a circular motion covering and breaking up the grounds from the bloom. Take about 60-75secs to increase the weight to about 350g. Allow the coffee to drain into the bottom vessel by about half before slowly adding more water. Repeat this process until the total weight is 750g. Once the coffee has drained into the lower vessel, remove the paper filter+grounds and dispose of. I like to slightly swirl the Chemex before pouring my first cap - like a wine decanter. I feel this opens up the nose on the coffee and enhances the taste. If you would like to check out our current selection of hand grinders you can head on over to the store. Don't forget to leave a comment letting us know what your favorite recipe was and what other types of recipe guides you would like to see on the blog. 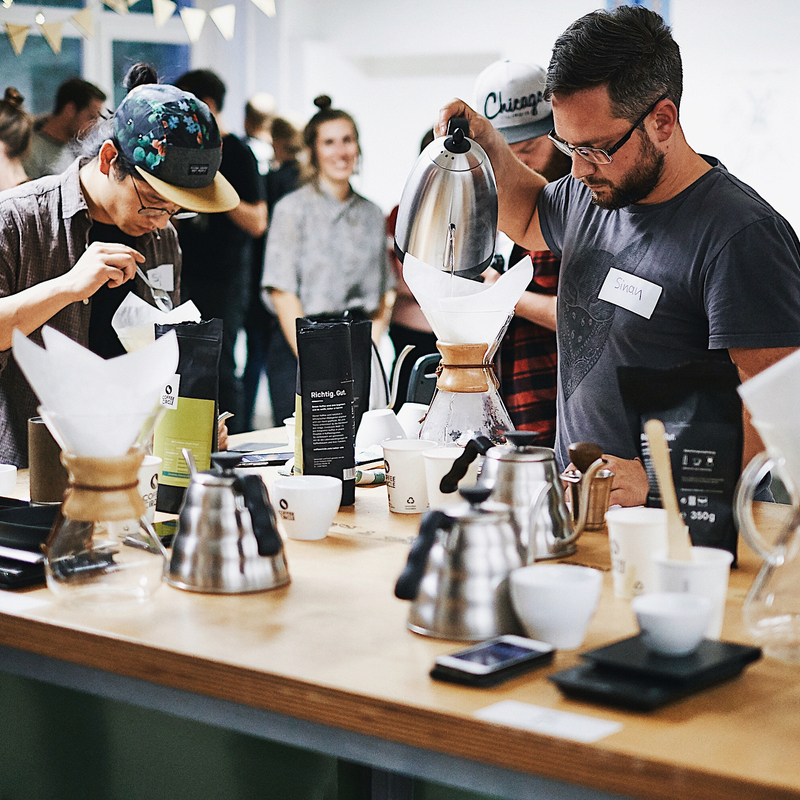 Finally, consider joining our community of coffee enthusiasts. You can join below to start receiving discounts and updates from the Handground community.